What's the Best Way to Grow Your Small Business? Growing a business can be almost as tricky as getting the enterprise off the ground. These growing pains came to mind as I watched this past week's episode of ABC's reality show Shark Tank. 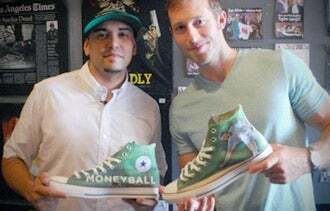 The first entrepreneur up to pitch the sharks was Nick Romero, the owner of The Ave, a small business on the beach in Venice, Calif., that offers shoppers a unique way to screen-print any image onto a pair of shoes. The idea was a smash hit with trendy beachgoers, with lines out the door since it opened last April. The Ave, a store of less than 500 square feet, saw first-year sales top $500,000 and had more than $100,000 of profit. This is the sort of story the Sharks usually drool over -- a proven success with both sales and profits, as well as products that are flat-out cool. I thought they'd be fighting each other over a chance to get a piece of The Ave's future revenue. But in the end, the Sharks all passed on helping the owner open more stores. Why? The owner wanted to focus on creating a retail chain, but the Sharks didn't think that was the best strategy for growth. Those lines out the door turned out to be the result of machines needing 30 minutes to create each set of custom shoes. Retail shoppers hate having to wait around. The Sharks thought Ecommerce would be the best model for The Ave's expansion because it allows people to order shoes from all over the world without having to wait around a store. Shark Robert Herjavec suggested that licensing the company's printing machine to other retailers could be another cash cow for The Ave, but again Romero wasn't interested in that option. In the end, it was Romero's lack of vision about growth strategy that came up empty with the Sharks, but the exposure he garnered by appearing on the show may help him attract other investors. What steps will you take to grow your business this year? Leave a comment and tell us your strategy.